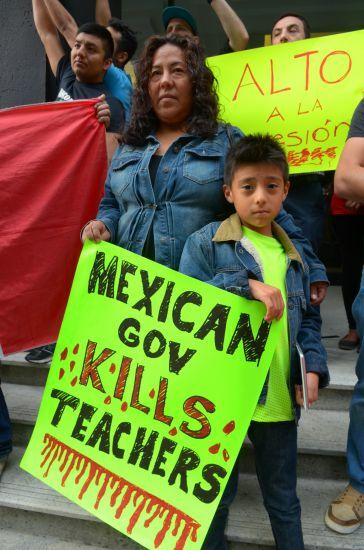 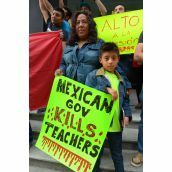 VANCOUVER - A rally outside the Mexican Consulate today condemned the Mexican government for its brutal repression of teachers in Oaxaca. 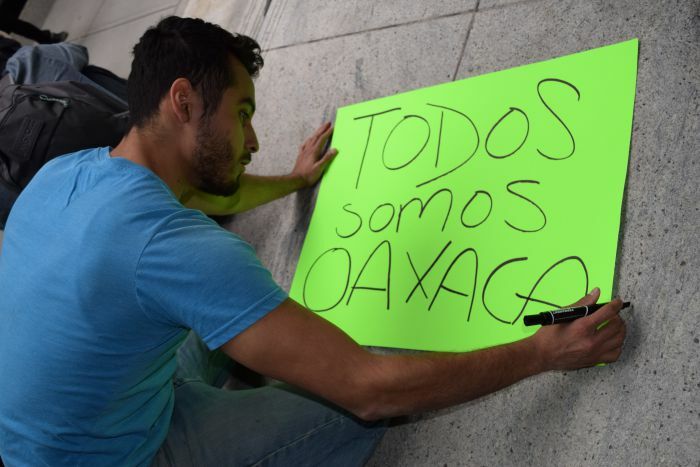 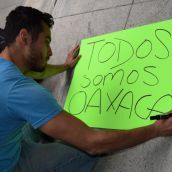 The gathering came two days after police violence in Oaxaca that left an estimated 12 dead and as many as 100 wounded. 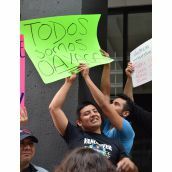 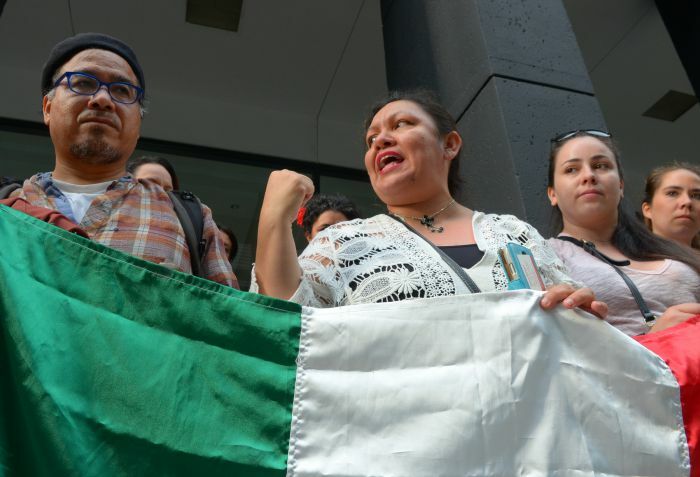 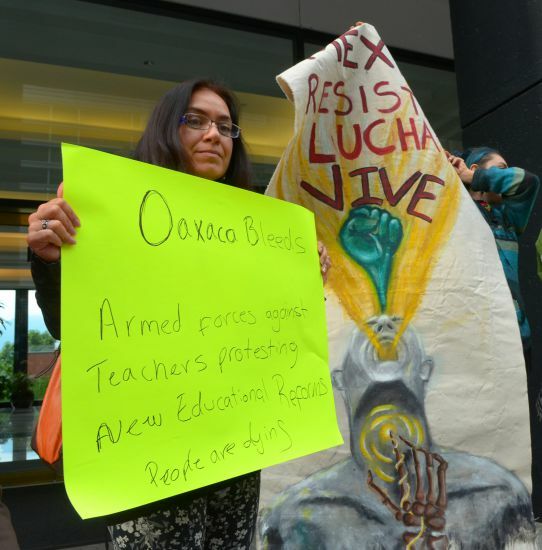 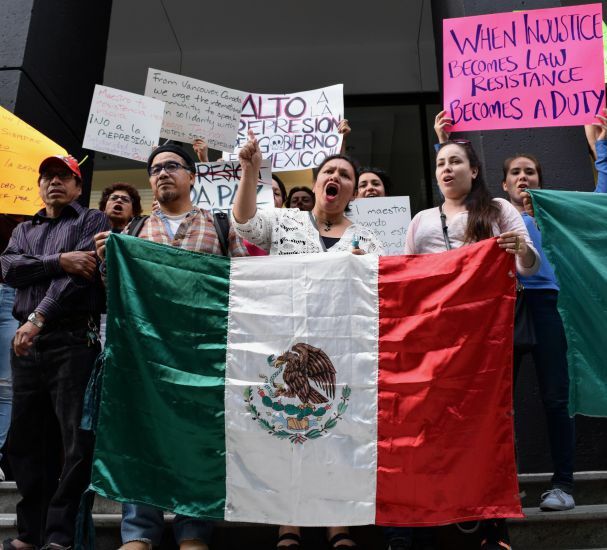 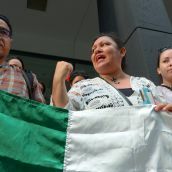 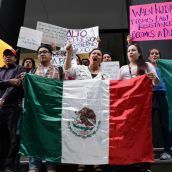 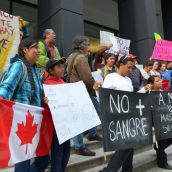 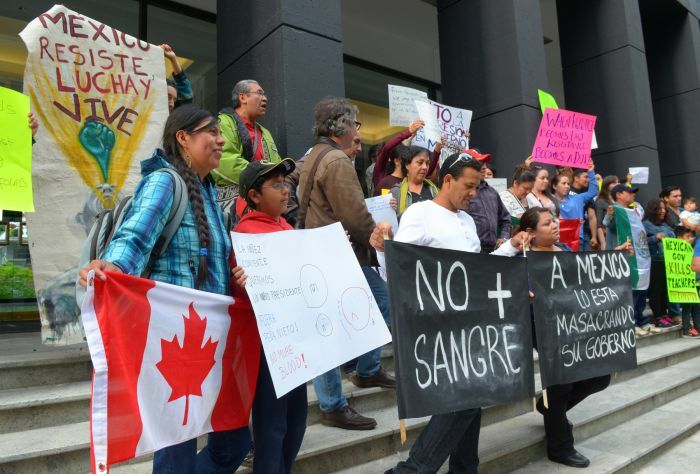 Protesters in Vancouver vowed continued support for striking teachers and denounced the role of the Mexican government. 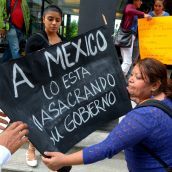 Police fired on protesters while trying to evict them from a road blockade on the Oaxaca-Puebla highway Sunday. 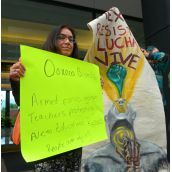 Teachers from the dissident CNTE union set up the blockade as part of protests over the flawed reforms implemented by President Enrique Peña Nieto and the arrest of several of the unions' leaders last week. 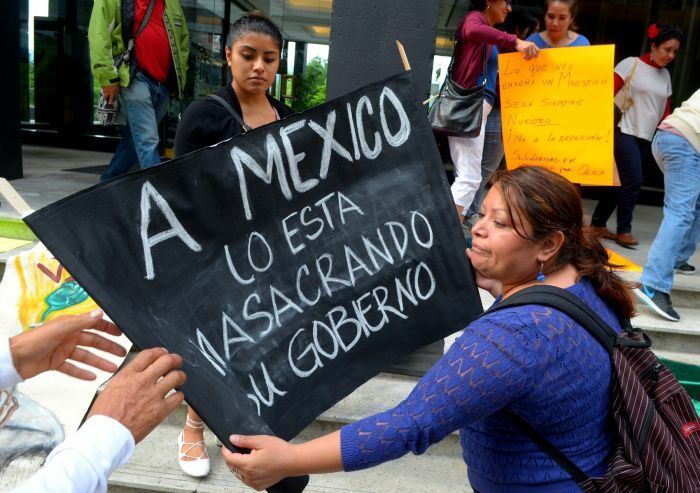 Mexican Interior Minister Osorio Chong finally agreed Monday to meet with representatives of the CNTE. 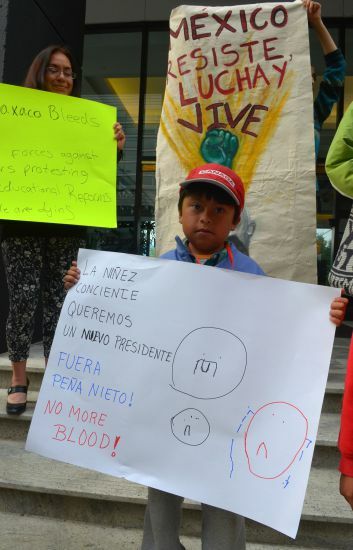 The violence comes less than a week before Peña Nieto is due to meet with Prime Minister Justin Trudeau and US President Obama in Ottawa. 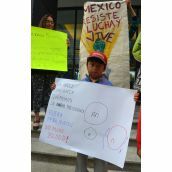 The IDEA Network - Red Sepa is following the developments in Mexico and is launching a campaign to appeal to former teacher Trudeau to question the Mexican president on state repression. 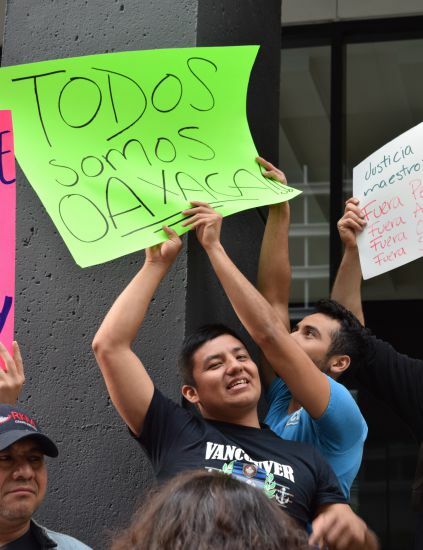 Another Vancouver solidarity rally is being planned for Sunday at 1pm outside the Art Gallery.